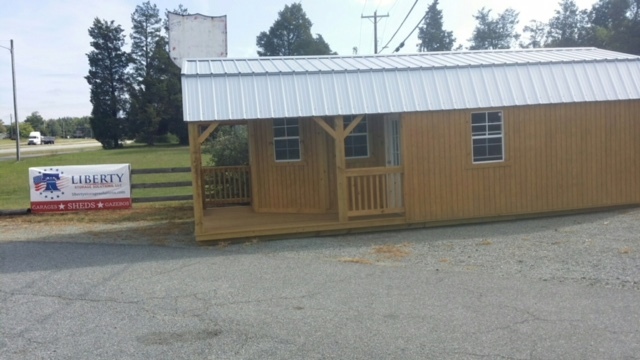 Backyard Buildings & Creations is conveniently located at 4578 Old Highway 29 in Thomasville, NC, just off Hwy 29/70 - Business 85 next to Pilot Elementary School. 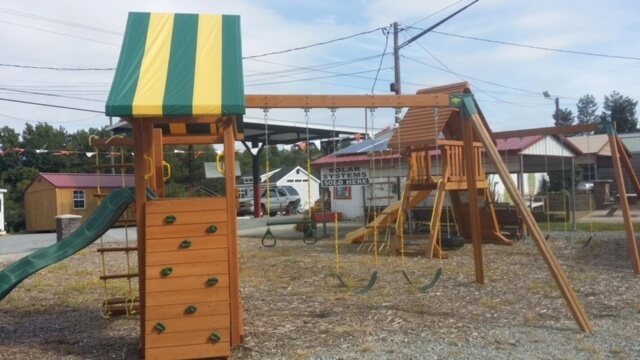 You can find Liberty Storage Solutions sheds, gazebos and swing sets at Backyard Buildings & Creations where their motto is: WE ARE YOUR LOCAL FOLKS WHO CARE...WE ARE TEAM BACKYARD. Learn more at the official Backyard Creation website. Backyard Buildings and Creations is an independently owned and operated lot and an authorized dealer for Liberty Storage Solutions, LLC.